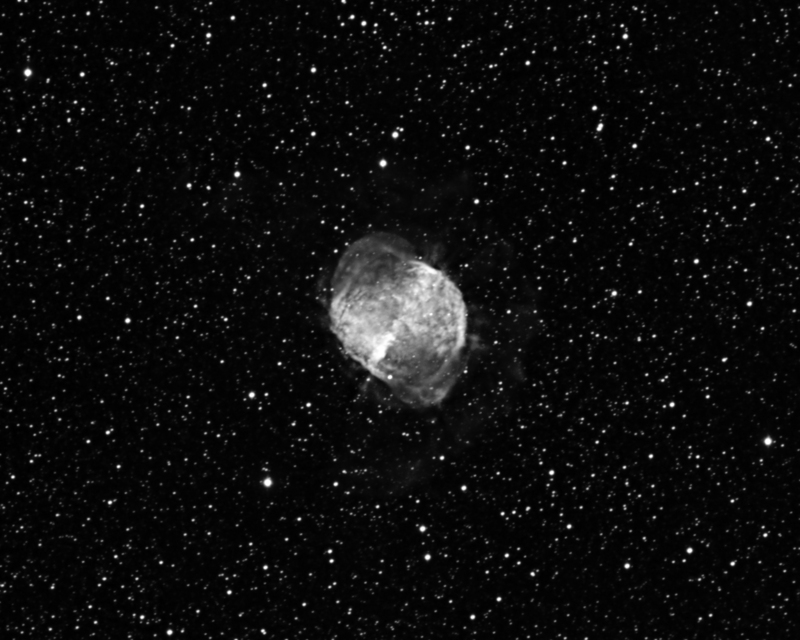 The Dumbbell Nebula M27 was the first planetary nebula ever discovered. On July 12, 1764, Charles Messier discovered this new and fascinating class of objects, and describes this one as an oval nebula without stars. The name "Dumb-bell" goes back to the description by John Herschel, who also compared it to a "double-headed shot."